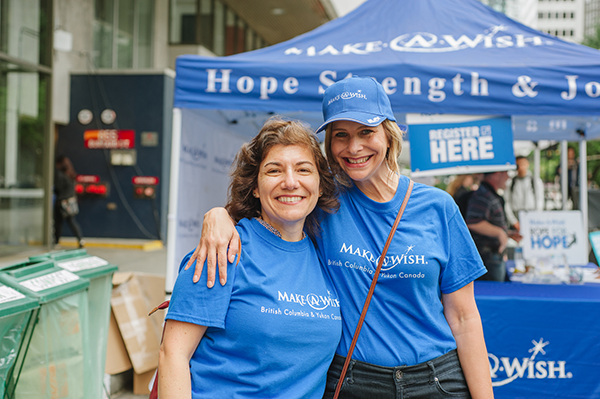 As an event day volunteer, you will have the opportunity to help Make-A-Wish execute a top quality event experience for our amazing fundraising participants. Do you enjoy meeting new people? Consider being part of our welcoming committee on event day. Do you have strong organizational skills? You would make an amazing registration volunteer. We have a variety of volunteer roles to match your interests and talents. If you would like to be a Rope for Hope event day volunteer, please contact us. Do you have previous experience with rope safety systems: ropes course facilitation, rock climbing instruction, high angle rescue, industrial rope access, etc. then we have the volunteer opportunity for you! 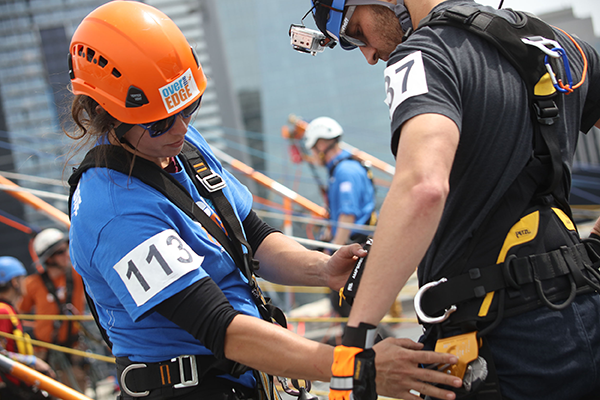 Working with our operations partner Over the Edge, rope volunteers will assist with harnesses and other gear, loading participants onto ropes, maintaining effective communication, providing ground belay, and unclipping participants from the ropes at the end of the rappel. If you are interested in being a rope volunteer, please contact us.